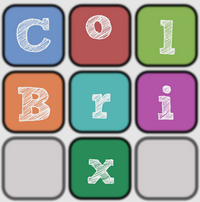 I have finally released ColBrix, a tile-based game for Android. 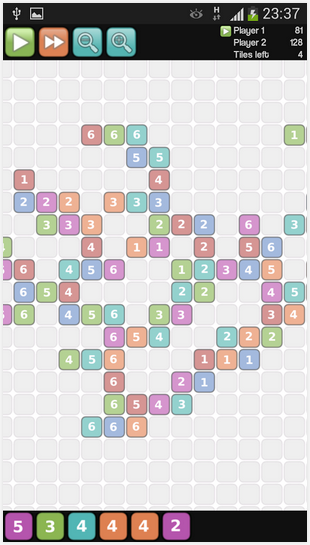 It's inspired by other apps and tile-laying board games like Scrabble, Qwirkle, WordFeud, etc., but it has its unique set of rules. I wanted to make a really good tutorial, and I knew such a tutorial would require a lot of time to implement. But I've never had that time. Until I (yesterday) decided to turn a missing tutorial into a feature. I think, that deliberately not offering a tutorial makes the game actually more attractive. There's space to explore the rules, the way the points are calculated, and keeps the game play interesting for a longer time span. Actually, it became the slogan of ColBrix: Finding out the rules is part of the game! With that decision, I could release the app in less than a day (after polishing up some parts of the app). I'm very glad that it's finally out (I hate unfinished projects ;)), and hope that you like the game.